Canadian Tamil Radio CTR 24 Live Online . 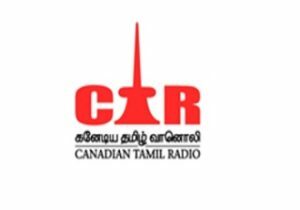 Canadian Tamil Radio is Canada’s leading 24-hour Tamil Radio channel . It was Founded on July 10, 2012 . It broadcasts Tamil Music , talk shows , Live Shows from Toronto Cannada . You can listen to this radio station online in Laptops , Desktops , Android and Iphone devices and Notepads using google chrome browser . No Need to install any software to listen this radio .